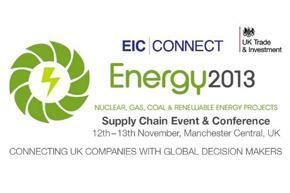 EIC, the world’s leading energy industry group, presents the only event of its kind in the UK to connect operators and contractors to UK suppliers. Connect Energy covers opportunities in international nuclear projects as well as renewables and fossil fuel power plants. Nuclear AMRC industry experts will be attending to present our Fit For Nuclear programme and explain how we can help companies enter the supply chains of the civil nuclear top tier. For more information, visit the EIC Connect Energy website. The University of Sheffield has acquired the buildings and assets of CTI and Titanium Castings UK Ltd (TCUK) including the ongoing research work, commercial contracts and consultancy. As part of the agreement, staff at CTI and TCUK are transferring to the employment of a University of Sheffield subsidiary company. Professor Keith Ridgway CBE, who founded AMRC, said: “The AMRC plays a major role in supporting the UK’s advanced manufacturing industry and with it the economic growth and skills which are so vital to our economy. Our aim is to work with our industrial partners to be at the forefront of advanced manufacturing research, helping companies to address real manufacturing challenges with an understanding of the full manufacturing process from design and prototyping through to materials and manufacture. Professor Richard Jones, Pro-Vice-Chancellor for Research at the University of Sheffield, said: “We are delighted that CTI will be part of our AMRC, representing a significant investment by the University of Sheffield into driving economic growth by linking our academic research to the needs of industry. CTI chairman Tom Westley said: “This is a real win-win situation for our members and staff. Our members will continue to receive all the services they have always enjoyed, but with the much enhanced resources of the University of Sheffield to support an ambitious expansion of our activities on the AMP. 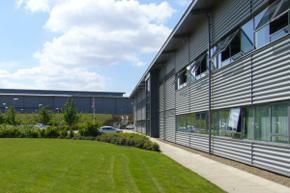 “Foundry member companies will benefit from a strong and regular dialogue with castings users from all over the world. Major OEMs will be working with us to ensure developments are focused to their needs and take full advantage of these world-class facilities.